The official rollout of Android 9 Pie to the Samsung Galaxy S9 and S9 + is underway, but there is a feature that did not quite make the cut. Although it did not work in Beta, there was a screen that suggested an option for usable memory, but this is nowhere to be seen in the stable version. 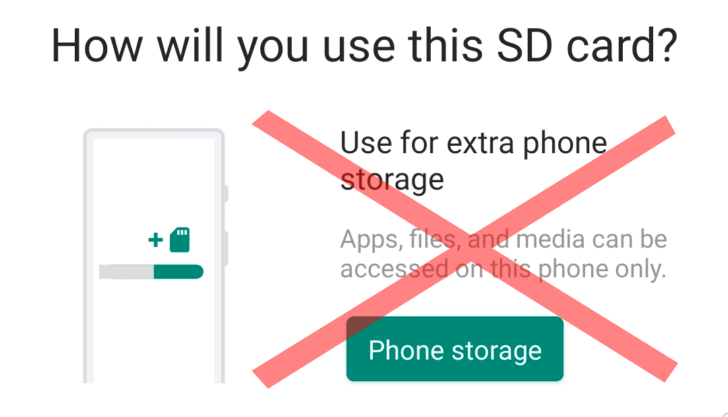 Many argue that the failure rate and slower performance of SD cards make this feature undesirable do. It is also the fact that you lose the ability to quickly remove the card and move data to another device. According to SamMobile, this is not an option for Samsung users. 1; we'll have to wait and see.